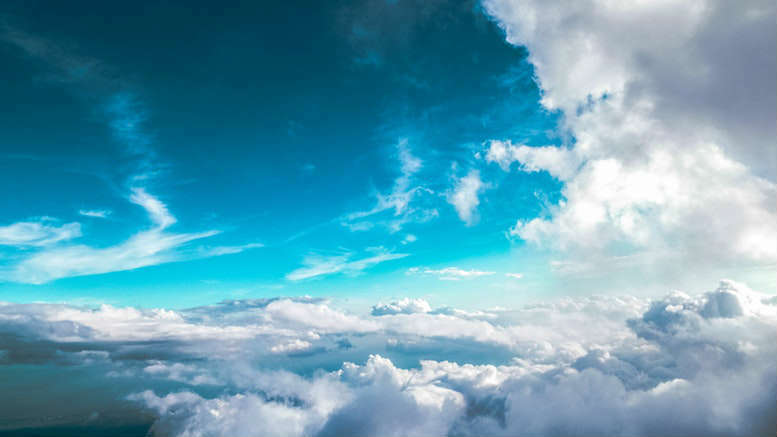 Well known and highly regarded insolvency practitioner David Young has died suddenly after a two year battle with cancer. He passed away after learning last week that the disease, which he thought he was beating, had turned terminal. Lawyer and close friend Michael Hayter said David was one of the good guys of the insolvency profession and had been inspirational in his final days. “He didn’t think of himself at all. He just wanted to make sure his wife and daughters were okay,” Hayter told Insolvency News Online. The senior partner at Gillis Delaney said he’d known David more than 20 years. They met after being on opposing sides of a court case Hayter lost. Pitcher Partners’ Paul Weston told INO he’d known David Young for some time but only became friends after Weston, who had joined Deloitte following its takeover of Howarths, moved to Pitcher Partners in 2009. “I liked his style and how he went about his business and felt that yes, ‘I could be in partnership with this guy’,” Weston recounted. “He was good fun,” Weston said. “When he needed to be professional he was and he was as much of a perfectionist as one can be in our profession. “He was very meticulous but when there was down time he was great fun to be with. Close friend Anthony Elkerton of DW Advisory said David attended Manly Boys High and was northern beaches to his bones. “He was a strong personality,” Elkerton recalled. “He made friends easily and he made them for life,” he said. David’s professional career commenced at Peat Marwick in the early 1980s. Following the merger that created KPMG in 1987 he shifted to PwC for a four year stint. Two years at small boutique Widin & Co followed before he then moved to William Buck where he stayed for a decade. Along the way he worked on some notable appointments including failed Ansett subsidiary, Trans Australian Air and more recently on Swan Services. In 2005 David moved to Pitcher Partners where he spent almost 10 years. He then set up his own advisory and referral business – Young Business RIT – operating out of O’Brien Palmer offices. David’s funeral will being held tomorrow. 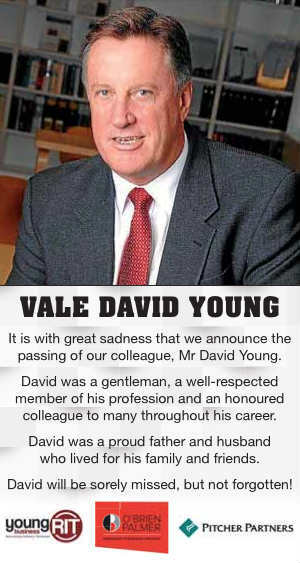 3 Comments on "Vale David Young – much loved practitioner dies"
Very sad, I saw him earlier this year and he seemed to be in good health, he was a terrific guy and thoroughly professional in everything he did. Played strong, done fine as Jack Gibson would say, he will be missed, sincere sympathy to his family at this difficult time. Bad news doesn’t always travel fast it seems and I just heard last night. Gutted. Great comments on a great friend from C&L Sydney in 1991. Forever Young(y).